When it comes to data protection, confidential shredding of your documents should be incorporated as part of your business day to day. 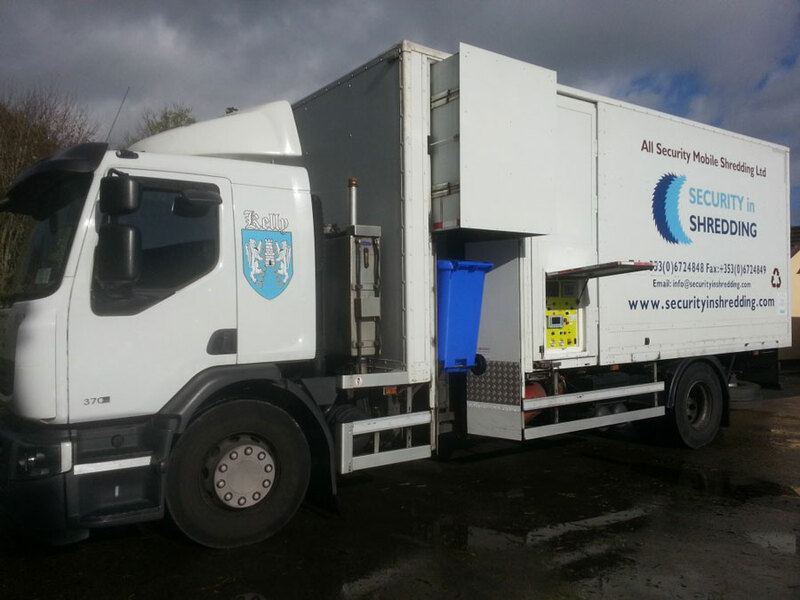 Limerick & Galway regions can also benefit from our on site shredding service. There are many reasons for your business to incorporate a confidential shredding service. Firstly it’s the law; The Data Protection Act ensures that businesses and organisations maintain that the data stored by them is protected to a standard set by the DPC. When it comes to data protection, minimising the risk of data breaches is essential for businesses to continue in operation. As mentioned above it’s the law but also data breaches can be hugely damaging to a companies reputation. If people are aware of a business or organisations data breach, people will not use that service or switch to a competitor good or service. All it can take is one breach for this to occur. Our on site shredding service will provide you and your business a secure method of destruction. The shredding process is monitored to ensure that the documents are destroyed and our on board systems ensure that this process is done correctly. The added bonus of the truck being on site, is that you get to see your documents go from the bin to shred on your premises. Giving you the confidence that your documents are destroyed in a safe and secure manor. For more information on our on site shredding and or any other services we provide, please check out our site or feel free to contact one of our shredding specialists. This entry was posted in Data Destruction, Onsite Shredding, Paper Shredding and tagged Confidential Shredding, Data Protection, Data Protection Commissioner, document shredding limerick, limerick paper shredding, paper shredding Galway, shredding Galway, shredding Limerick by Security in Shredding. Bookmark the permalink.